Last Edit: 06 Май 2018 06:21 by Vladimirovich. Да, только что тоже увидел. Сногсшибательный турнир, мечта рейтингоманов. По-моему впервые Крамник и Топалов вместе в одном турнире играют. Международных шахматный турнир Sberbank Open порадует порадует зрителей звездами мировой величины. Событие пройдет с 3 по 8 июня в столице Украины. главном супертурнире А сыграют десять звезд мировой величины – экс-чемпионы мира Анатолий Карпов (Россия) и Веселин Топалов (Болгария), двукратный олимпийский чемпион в составе национальной сборной Павел Эльянов (Украина), чемпион мира по быстрым шахматам Сергей Карякин (Россия), претендент на мировую корону Петер Леко (Венгрия), чемпионы своих стран и победители многих международных турниров Антон Коробов, Александр Арещенко (оба – Украина), Евгений Томашевский (Россия), Аркадий Найдич (Германия) и Сергей Жигалко (Беларусь). Гроссмейстеры сыграют в быстрые шахматы по круговой системе (9 туров). The 39th Open Internacional Escacs “Vila de Sitges” will be held on 22-31st July at the Casino Prado Theatre Hall. c/ Francesc Gumà, 6-14. 08870 Sitges, Spain. The playing format is 9-round Swiss in two groups – Open A for players rated above 2000 FIDE (valid for title norms) and Open B for players rated under 2000. The prize fund is 4175 EUR. Правда там только 2500+ будут . Шестисотников нет. 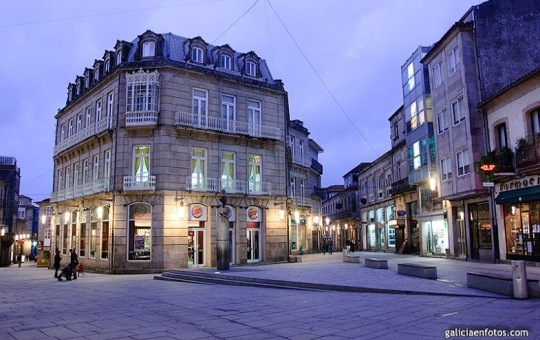 The 1st Torneo Internacional Ciudad de Pontevedra is being held from 9th to 15th August at the Casino Mercantil e Industrial de Pontevedra in Galicia, Spain. GM Peter Svidler is the Organiser’s nominee for 2014 Candidates Tournament. 2014 Candidates Tournament will take place from 12th March to 30th March 2014 in Khanty-Mansiysk, Russia. 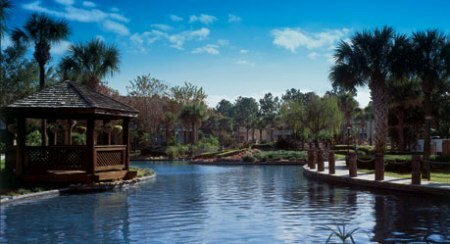 The 12th Annual Southern Class Championships will be held from March 28-30, 2014, at the Wyndham Orlando Resort (renovated), 8001 International Drive, Orlando, Florida. The event has 7 sections: Master, Expert, Class A, Class B, Class C, Class D and Class E.
All sections have either 3-day (March 28-30) or 2-day (March 29-30) schedules to play in. The event has a $12,000 prize fund, based on 185 entries, with $10,000 minimum guaranteed. Master Section (2200/up): $1000-500-300-200, clear or tiebreak win $100 bonus. FIDE rated (USCF rules used). Class A Section (1800-1999/Unr): $1000-500-300-200. Class B Section (1600-1799/Unr): $1000-500-300-200, unrated limit $650. Class C Section (1400-1599/Unr): $800-400-250-150, unrated limit $500. Class D Section (1200-1399/Unr): $700-400-250-150, unrated limit $350. Class E Section (Under 1200/Unr): $400-200-100, unrated limit $200, trophies to first 3, top Under 1000, Under 800, Under 600, Unrated. Last Edit: 23 Март 2014 22:56 by Vladimirovich. The 19th Voronezh International Chess Festival 2015 will be held from 10-21st June at the Voronezh Chess Club, F.Engels str. 34, in Voronezh, Russian Federation. 1. Chess 960 (Fischer chess) – 10.06 (Wednesday). Start at 11:00. 7 rounds swiss, 15 minutes + 3 seconds per move. 2. Rapid tournament – 11.06 (Thursday). Start at 10:15. 9 rounds swiss, 15 minutes + 2 seconds per move. 3. Blitz tournament – 17.06 (Wednesday). Start at 16:00. 11 rounds swiss, 3 minutes + 2 seconds per move. 4. “Master open” (Elo > 2200). Stage of ACP Tour 2015, Russia Cup 2015. 12-21.06; 9 rounds swiss; 90 minutes per 40 moves + 30 minutes to the end + 30 seconds per each move. Valid for FIDE title norms. 5. “FIDE open” (Elo <= 2200) 12-20.06. 9 rounds swiss; 90 minutes per game + 30 seconds per move. 6. "Sail of Hope" (tournament for people with disabilities devoted to 70th Victory anniversary) 13-19.06. Venue: "Rehabilitation Center" (Kaliningradskaya str., 110) Swiss 7 rounds, 90 minutes per game + 30 seconds per move. 1st round starts at 15.30. 2-7 rounds start at 11.00. Participation available for persons having problems with hearing, vision, movement, etc. Tournament director - S.A.Kislov (ph. +7-(473)-2550531). No entry fee for participants confirmed by TD. The Egyptian Chess Federation is organizing the Golden Cleopatra Open, which will be held in Cairo, Egypt – Mondial Hall at Eastern Company Club from 12th to 22nd December 2016, under patronage of Mr. Mohamed Osman Haroon, the Chairman of Egyptian Eastern Company. The tournament is open to all Fide-rated players with a standard rating of 1000 and above (as of 1st December 2016) – Online ratings & titles are not accepted. Last day for registration & payment is Tuesday 6th December 2016. The tournament format is 10-rounds Swiss system, with the time control 90 minutes + 30 seconds increment per move from move 1. The total prize fund of the tournament is 85,000 L.E. = US $ 6,000. The 32nd International Open Tournament Pula 2018 will take place 23-30th June at the Hotel Park Plaza Histria in Pula, Croatia. 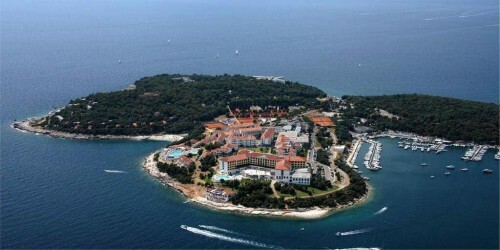 The 9-round Swiss event is organized by the Chess Club Pula and Croatian Chess Federation. The total prize fund is 5340 EUR. At the present 109 players from 16 countries are registered to take part in the event. Among them are 4 Grandmasters and 6 International Masters. Третий турнир любителей состоится с 24 июня по 2 июля в столице Беларуси. В турнире могут принять участие игроки, не имеющие звания мужского международного гроссмейстера, с рейтингом не выше 2325. Общий призовой фонд турнира составляет 31400 долларов, первый приз – 5000$, предусмотрены призы в рейтинговых категориях. Контроль времени – 90 минут на партию плюс 30 секунд на ход. XIII International Chess Tournament will be held from 16 to 24 June. The venue will be House of Culture in Teplice, Czech Republic. The organizer is ŠK Teplice. The System is 9-round Swiss. The time control is 90 minutes for 40 moves, then 30 minutes to the end of the game, with a 30-second increment from move 1. Gideon Japhet Memorial ACP Open Chess Tournament in memory of Gideon Japhet will be held from 1-6 of July in Jerusalem. The tournament is organized by Jeruchess club under the direction of IA Alon Cohen and his team, in collaboration with the ACP (Association of Chess Professionals) with the generous support and sponsorship of the Japhet family. It will be held on July 1-6, in the Lerner Sport Centre of the Hebrew University. Prize fund is 60,000 NIS. The 28th Annual North American Open will be held from 26-30 December, 2018, at Bally’s Casino Resort, 3645 Las Vegas Blvd S, Las Vegas, Nevada. The Open Section is a 5-day tournament (December 26-30) with FIDE norms possible. The Under 2300 to Under 1250 Sections have either a 4-day schedule (December 26-29) or 3-day schedule (December 27-29) to participate in. GM and IM norms are possible in the Open Section which will be played over 9 rounds of Swiss system with the time control 40/2, SD/30, d10. The other sections will be completed over 7 rounds of Swiss system. Open Section: $10000-5000-2500-1200-1000-800-600-500-400-400, clear winner or 1st on tiebreak bonus $200, top FIDE Under 2400/Unr $2400-1200. FIDE rated, GM & IM norms possible. Under 2100 Section: $7000-4000-2000-1200-800-600-500-500-400-400, no unrated may win over $2000. Under 1900 Section: $7000-4000-2000-1200-800-600-500-500-400-400, no unrated may win over $1600. Under 1700 Section: $6000-3000-1500-1000-800-600-500-500-400-400, no unrated may win over $1300. Under 1500 Section: $5000-2500-1300-1000-700-600-500-400-300-300, no unrated may win over $1000. Under 1250 Section: $3000-1500-1000-800-600-500-400-400-300-300, top Under 1000 (no unr) $1000-500, no unrated may win over $500. No separate U1000 section; players under 1000 in U1250 play for both U1250 and U1000 prizes; receive larger if winning both. кстати, а как измерить свой ху рейтинг? Last Edit: 10 Дек 2018 09:01 by BB. Лучше всего играть с обсчетом. И турнира три хотя бы партий по 9. Если нет возможности - Хмельницкий. Шахматный экзамен (брать на решение часа 4) прорешать 3-4 полных теста по одному в день. Посчитать средний рейтинг и вычесть 100. Last Edit: 10 Дек 2018 13:43 by Ruslan73.